Grease a cake pan with butter and sprinkle it with flour. In a bowl, beat the butter well with the sugar until smooth. Add the flour mixed with the baking powder and coffee and stir again. Finally add the ground walnut and re-mix everything until it is well incorporated. Pour the batter into the cake pan and bake for about 45 minutes, or until cooked (test the toothpick). Once baked, remove from the oven, allow it to cool slightly, unmold and let it cool completely. 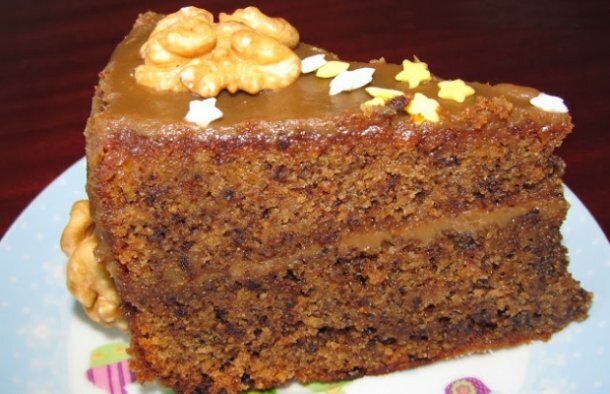 Cut the cake in half so you get two slices and put aside. Heat a pan with the sugar, coffee and cream stirring constantly until thick and creamy. 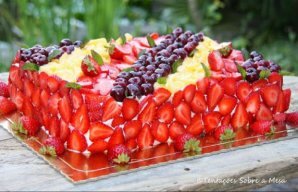 Add a layer of the cream on top of the bottom half of the cake, place the top half of the cake on top and spread the rest of the cream on it. Garnish with the walnuts and serve. 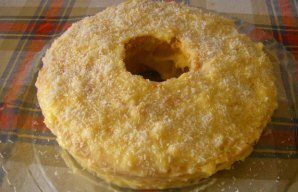 This Portuguese lemon and coconut cake recipe (receita de bolo de limão e coco) is simple to make and very tasty. 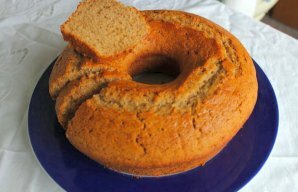 This soft and tasty Portuguese cinnamon cake recipe (bolo de canela fofinho) is very easy to make.